Our mission at Family Health Centers of San Diego (FHCSD) is to provide high-quality, affordable health care to you and your family. We offer a variety of patient services and programs to address your health care needs. In addition, we have primary care clinics conveniently located throughout San Diego County to serve you. Regardless of health condition or income status, our courteous and professional medical staff is committed to treating all patients with the utmost dignity and respect. Please call (619) 515-2300 to schedule an appointment with an FHCSD provider. Please call at least 24 hours in advance if you need to cancel your scheduled appointment. FHCSD reserves the right to charge for missed appointments. Please see our list of clinic locations. 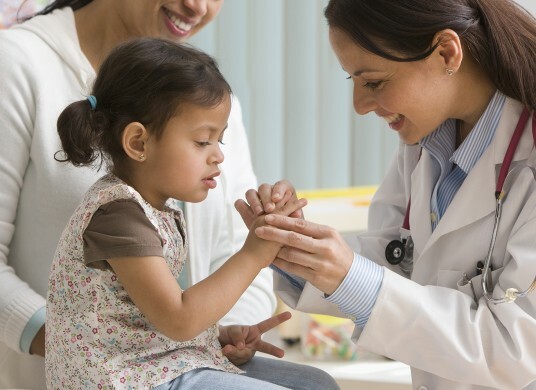 Many FHCSD primary care clinics offer walk-in visits without an appointment. Wait times for walk-in patients may vary widely depending on the medical needs of other patients. If there are more walk-in patients than the clinic is able to see, our medical staff will assess every walk-in patient and determine who may be seen that day. Those not seen by our medical staff will be encouraged to schedule an appointment for a subsequent day. Please note that our staff strives to communicate scheduling delays to our patients. FHCSD accepts a broad range of payment and insurance plans. In addition, many of our patients qualify for free or low-cost health care services based upon their income and family size. No patient will be turned away based on an inability to pay. For more information, please call (619) 515-2300 or visit our billing and insurance section. If you need after-hours assistance, please contact our on-call physician at (619) 692-2414. If you are experiencing a medical emergency, please call 9-1-1 immediately or go to the emergency room. We aim to provide efficient, accurate and legally compliant electronic health records to enable the delivery of quality care and assure patient safety. Our staff strives to be Exceptional in Every Way! The Health Information Management (HIM) Department insists on the delivery of an accurate, efficient and paperless electronic health record as a trusted partner for internal and external clients. For information, or to submit a request, regarding medical records and our policies, please click here.